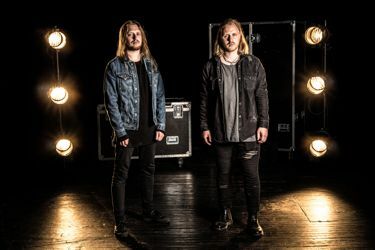 German label AOR Heaven has extended their collaboration with Swedish Melodic Rock group TASTE who will release their second album “Moral Decay” on August 31. Another 15 acts have been confirmed for this summer's Sweden Rock Festival: Scorpions, Kansas, Warlock, Wintersun, Wishbone Ash, The Dead Daisies, Grave Digger, Primal Fear, Lucifer's Friend, Myrkur, Picture, Artch, Art Nation, Lost Society and Bob Wayne & The Outlaw Carnies. Scorpions have taken their live show to another level with the inclusion of former Motörhead drummer Mikkey Dee in their line-up. This summer, the German hard rock legends are set to play their first show in Sweden with Gothenburg resident Mikkey behind the drum kit, and they will be bringing a spectacular new production and, of course, an amazing catalogue of songs to build a setlist from, such as "Rock you like a hurricane", "Blackout", "Big city nights", "Still loving you", "Dynamite", "The Zoo", "Still loving you", "Alien nation", "Send me an angel" and "Winds of change". American prog rock icons Kansas have also been reignited lately. Their evergreens "Carry on wayward son" and "Dust in the wind" keep making appearances in movies and TV series, a new band line-up has the band sounding better than they have in many years and recently they released their first studio album since 2000. This summer, they fly to Europe for a single show at the Sweden Rock Festival. 2017 will also be the year when the undisputed queen of heavy metal, Doro Pesch, reunites with guitarist Tommy Bolan for four European shows under the name Warlock. One of these shows will be at the Sweden Rock Festival and the main focus of the concert will be on the bands fourth and most beloved album, "Triumph and agony" from 1987. The remaining 54 bands will be announced as they get confirmed this winter and spring.